Asset Management has a holistic view on the engineering (physical) assets of a company. The concept takes into account capacity considerations, design, investments and maintenance of production equipment. One of the main tasks of Asset Management is to guarantee that the changing business requirements and engineering assets match together in an optimal way taking into account all life cycle aspects of equipment. In the present business environment the asset management is becoming one of the key challenges of the business organizations. 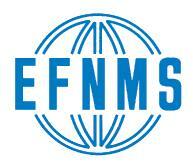 EFNMS Asset Management Committee was founded in 2007. We invite all our member societies to participate in the activities of EAMC?? The systematic and coordinated managerial decisions, activities and practices through which a company identifies existing and potential strategic engineering assets against business requirements, successfully manages them and their associated performance, output, risks and expenditures over their life cycle, for the purpose of achieving the company’s strategic objectives. This is valid for all systems producing goods and services.